On Saturday, August 15, officers with the Grand Junction Police Department were dispatched to a report of two dogs left in a hot car at 2401 North Avenue. Officers arrived on scene and contacted the driver of the vehicle, who provided the name of Sinda Sakala, aka Kirby, age 28. A routine check of Sakala’s name and date of birth revealed a warrant for her arrest for charges of forgery and driving under restraint. Sakala was placed under arrest for the warrant. A subsequent search of her purse revealed two $20 bills, as well as a photocopy of a $20 bill. Further investigation determined that the two $20 bills found in Sakala’s purse were counterfeit. After reading Sakala her Miranda Rights, Sakala admitted that the two bills were fake, and in fact revealed that there were “a lot more fake bills” in the vehicle, as well as a printing machine used to produce the fake money. A search of her vehicle resulted in the location of multiple sheets of paper containing printed images of $5 and $20 bills, printed on paper consistent with the texture of the bills found in Sakala’s purse. There was also a printing device found in the vehicle, loaded with the same type of paper, as well as printed sheets in the top of the printer, with the same images of money on them. Sakala’s wallet was retrieved from the car, and the wallet contained two debit cards in other people’s names. Sakala was not able to explain why she was in possession of the cards, nor how they ended up in her wallet. 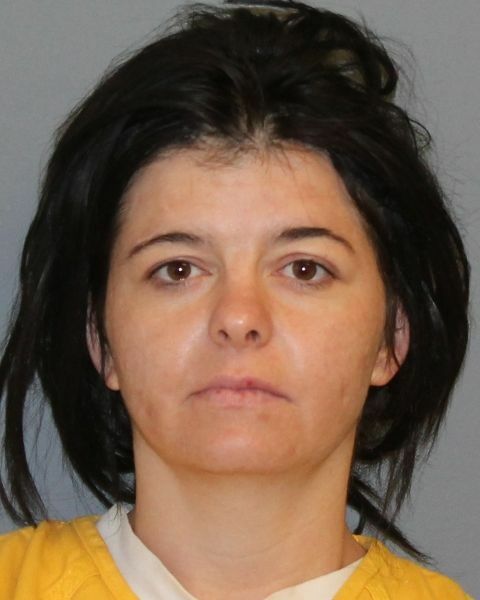 Sakala was transported to the Mesa County Jail and remanded to their custody on charges of criminal possession of a forged instrument, criminal possession of a forgery device, and criminal possession of two or more financial devices, as well as two warrant for her arrest. This entry was posted in GJPD News, The Insider on The GJPD Patrol and tagged Cars, Dogs In Cars, gjpd, Grand Junction, Heat Stroke, Mesa County, Share GJ. So why wasn’t she charged with animal cruelty?! H&r dogs got her caught do they get justice? But what happened to the dogs? We are so fortunate to have such an engaged, concerned community in Grand Junction! After following up with the officer, we learned that the dogs are just fine. The car was running, the air conditioner was on, and they weren’t in the car long. A family friend picked up the dogs from the scene. Thanks for asking!